Computer Sciences Corp. has agreed to buy Long Beach-based health care consulting and information technology company First Consulting Group Inc. for $365 million. National Lampoon's interim CFO quits. Sony Pictures Entertainment is considering selling half of its fledgling animation studio, maker of the films "Surf's Up" and "Open Season," and even more of its thriving 15-year-old digital visual-effects company. Moody's Investors Service may cut its credit rating on Ryland Group Inc. into junk territory, citing concerns about the home builders' ability to cut inventory and generate positive cash flow, the rating agency said Monday. Shares in Activision Inc. and THQ Inc. gained Wednesday as Wall Street analysts projected strong holiday sales and future earnings for the local videogame makers. Hundreds of people are making stuffed Walt Disney toys at a factory in southern China up to 16 hours a day with only a few days off a month, a Hong Kong-based labor activist group said Wednesday. Fremont General Corp. has broken off talks with a group led by Texas billionaire Gerald J. Ford that had planned to make an $80 million investment in the company. With a strike deadline looming, negotiators for the Writers Guild of America and the major Hollywood studios made limited headway in contract talks Tuesday as they met for the first time with a federal mediator. The chief executive of Countrywide Financial, Angelo R. Mozilo, has been sued by a pension fund that accused the company of helping executives pocket improper gains by artificially inflating its stock price through share buybacks. PC Mall Inc. reported a 56 percent surge in third-quarter profit Tuesday due to record sales volume, the company said. DreamWorks Animation SKG Inc. said Tuesday afternoon that third-quarter profit nearly quadrupled thanks to strong sales of the studio's wildly successful "Shrek the Third," animated feature. Countrywide Financial Corp. cheered investors last week by pledging a quick return to profitability, boosting the stock price that day 32%, but some analysts are leery. A former executive at Countrywide Financial Corp. was charged Monday with insider trading after he sold stock three years ago just prior to the company reporting negative earning results, regulators said. Shareholders of Applebee's International Inc. approved the $1.9 billion acquisition offer from Ihop Corp. Tuesday. Pulte Homes Inc. and KB Home are among six home builders that agreed to pay a total of $1.4 million to settle federal investigations into whether they accepted rebates from insurers for referrals when selling homes. The U.S. Maritime Administration has become the latest entity to formally oppose the controversial and long-delayed program to reduce truck pollution at local ports. Shares in CB Richard Ellis Group Inc. tanked Tuesday after the world's largest real estate broker said late Monday that its third-quarter profit rose 25 percent, but still missed Wall Street's expectations. A San Diego investment firm was a big buyer of Countrywide Financial Corp.'s shares in the third quarter, when many other investors were bailing out. KB Home, Ryland Group Inc. and four other home builders agreed to pay a total of $1.4 million to settle federal investigations into whether they accepted rebates from insurers for referrals when selling homes. The Long Beach Board of Harbor Commissioners postponed a vote Monday on setting a timeline to implement a controversial plan to replace the ports' oldest and most-polluting trucks. MannKind was hoping for success with its inhalable insulin now that Pfizer killed its competing product. But the situation may have gotten worse for MannKind. Countrywide Financial Corp. is forming a housing and mortgage industry coalition that will try to spur government reform of the residential lending business to ease the current credit crunch. L.A. Exporters are going strong as the declining value of the U.S. dollar has made American goods more competitive abroad. Saul Levine's KMZT-AM (1260) is turning off the Mozart and going all talk this week. The harbor commissioners are set to vote on the first phase of their controversial plan to clean up truck pollution. Mann Theatres has decided to close its multiplex at the Glendale Exchange. Robert A. Jones writes that companies violating labor laws and exploiting workers are a drain on the economy. Joseph Stilwell resigned from the board of malpractice insurer SCPIE Holdings Inc. and is working to prevent the company's sale to a competitor. Gov. Arnold Schwarzenegger rejected all of the high-priority "job-killer" bills singled out by business as being especially onerous. El Segundo-based Geosemble Technologies Inc.
Philanthropy Summit Highlights Problems in L.A.
California's housing market, suffering from a slump in single-family home and condominium sales, will ``stay tough for quite some time,'' KB Home Chief Executive Officer Jeffrey Mezger said. Ignore the hype and don't rush to sell your home just because media types say there is a real estate meltdown, according to Grant Cardone. Since it opened in July, Craft has hosted a cavalcade of VIPs. IQ Plus, a new software program that matches a database of 40,000 store locations with a city-specific database of media options, enabling advertisers to make logical decisions about where to spend their marketing dollars. Business news from L.A. County and beyond. The Southern California wildfires are keeping adjusters with state's largest home insurance companies working 14-hour days as damage claims pour in. Today, Hulu.com, now an independent company with more than a hundred employees and its own offices in Los Angeles, will begin privately testing its free Internet TV service. Downtown's Financial District has the county's highest annual average income, supplanting Beverly Hills 90212 as the richest ZIP code. Infomercial pioneer and entrepreneur Ron Popeil plans to call it quits next year after he unveils the turkey fryer, which he says will be the final invention of his career. Hollywood-based Sober Champion is giving substance abusers a new way to stay clean. AdStar Inc.'s stock is struggling as the company transitions into the ad distribution model. Blackstone Group LP announced today that it has lured Christopher Nassetta, the chief executive of a lodging-industry rival, to lead recently acquired Hilton Hotels Corp.
Nike Inc. is working with 15 students at the Otis College of Art and Design to create a number of apparel designs that could be used for the Nike-sponsored Brazil soccer team. Ticketmaster has long been the king of its sector, but developments on several fronts are threatening to break the company's stranglehold on the industry. The Port of Los Angeles is pushing ahead with a portion of its clean air program that aims to reduce diesel emissions from ships docked at the port. Even as the trendy loft and condo market cools a bit in downtown Los Angeles, the glass-and-steel skyscrapers are filling up and street life is picking up after dark. Even as local garment manufacturing stagnates, the Korean apparel market in L.A. has grown into a thriving, $5 billion industry. Speculation is circling that Laurence Fink is the favorite to replace Stan O'Neal, who is likely on the way out at the venerable brokerage firm Merrill Lynch & Co., Inc.
Northrop Grumman Corp., said Monday that it plans to lead a team that will compete to design a digital communication system for the Coast Guard. Local grocery chains cheered a tentative court ruling issued late Thursday overturning the city of L.A.'s grocery worker retention ordinance. Shares in Ducommun Inc. surged more than 6 percent Monday after the company reported a 42-percent hike in profit thanks to a jump in sales to commercial airlines. A firm led by billionaire investor Kirk Kerkorian said Friday it is seeking to boost its stake in Tesoro Corp. to 20 percent by paying a 12 percent premium for some of the oil refiner's shares. Countrywide Financial Corp. posted its first loss in 25 years Friday but saw its shares soar more than 17 percent when the lender projected a return to profitability as it cuts costs and regains traction. Environmentalist-turned-utility executive John E. Bryson will retire in July from the helm of Edison International, the Rosemead company said Thursday. The Los Angeles Business Journal's index of the 200 largest public companies gained 2.1 percent for the week, but as expected, financial companies and local banks were hit particularly hard by poor earnings and the ongoing credit crisis. Just days after struggling Fremont General Corp. adopted a "poison pill" strategy, a Texas-based hedge fund said Friday that it has "engaged" a former senior executive of Countrywide Financial Corp. in an effort to acquire Fremont or auction it off. As expected, Los Angeles Department of Water & Power general manager Ron Deaton submitted his resignation Friday, three months after suffering a near-fatal heart ailment. The Alliance of Motion Picture and Television Producers on Thursday offered a modified package of proposals in a bid to keep fractious negotiations alive six days before the expiration of the writers contract. Applebee's, which leads the estimated $70 billion category that also includes Ruby Tuesday and T.G.I. Friday's, is revamping its business approach by trying to appeal to a new generation. And it starts with a sass-talking apple. Regional bank Cathay General Bancorp on Thursday reported an 11 percent hike in third-quarter earnings to $34 million (67 cents per share), beating analysts' predictions of 62 cents, according to a poll conducted by Thomson Financial. A U.S. law that will require foreign ports to scan every container they ship stateside looks set to create big winners and losers and force consolidation at ports around the world. Mattel Inc. issued another recall Thursday affecting 55,500 Fisher-Price plastic boats because the paint contains too much lead, the U.S. Consumer Product Safety Commission said in a statement on its Web site. Home sales fell 38.4 percent in the Los Angeles area in September, compared with the same period a year ago, and the median home price fell 2.8 percent to $569,390, according to figures released today. Countrywide Financial Corp. said Wednesday afternoon that Henry Cisneros, a former U.S. Secretary of Housing and Urban Development, resigned from his position on the company's board of directors. An Applebee's International Inc. director plans to ask a Delaware court to award him more money for his shares, on the grounds that IHOP Corp. is paying too little to buy the restaurant chain. Shares in Skechers soar after upgrade. Ongoing pressure from federal regulators and slumping drug sales pushed Amgen Inc.'s third-quarter profit down 82 percent, the firm said Wednesday. Port officials have scheduled initial votes for the controversial and long-delayed program that would reduce diesel truck emissions at the ports. The Tribune Co.on Wednesday reported a 7 percent drop in third quarter earnings as the housing slump and lower consumer spending continued to hit the media company's advertising revenue. VCA on Thursday reported third-quarter net income of $32 million (38 cents per share), up 19 percent from $27 million (32 cents) from the same period a year earlier, beating analysts' expectations of 37 cents per share. Private-equity firm Blackstone Group said Wednesday that its $20 billion takeover of hotel operator Hilton Hotels Corp. has been completed. Shares in local homebuilders and lenders were rocked Wednesday after data was released showing sales of existing homes plunged to historic lows in September and Merrill Lynch reported greater-than-expected losses from its mortgage investments. Defense contractor Northrop Grumman Corp. reported a steep increase in third quarter profit driving by sales gains from the company's shipbuilding and information technology units. Jacobs to be added to S & P; 500. Is AT & T; Kicking the Tires on DirecTV? AT & T; Inc. has been circling the satellite-television sector for several years, contemplating a bid for one of the two major players. Now, with consolidation in the telephone industry mostly done, AT & T; appears to be getting ready to swoop in. Venture capitalists continue to invest heavily in Southern California, investing the largest amount in the area since 2001, a report says. The landmark Ritz-Carlton Huntington Hotel & Spa in Pasadena is being sold for $170 million to a Hong Kong real estate investment firm that may drop the name Ritz-Carlton. Occidental Petroleum Corp. reported a 12 percent increase in third quarter earnings thanks mainly to increased production and rising crude oil prices. Ryland Group Inc. reported a third-quarter loss Wednesday as sales fell and tighter lending terms choked out potential buyers from a slumping real estate market. Shares in Hanmi Financial Corp. plummeted Wednesday after the company said it expects a decline in third-quarter earnings as it increases the amount of money it set aside to cover potentially bad loans for the quarter. Ihop Corp. reported a third-quarter loss Tuesday due to expenses associated with its pending acquisition of the Applebee's Inc. restaurant chain, sending shares down nearly 4 percent. With loan defaults rising along with many mortgage payments, fast-growing numbers of homeowners are gambling on bankruptcy filings to stay in their homes. There are 808,000 factory jobs in the five-county Southern California region, making up a bit more than 11% of the region's total employment. Avery Dennison Corp. surprised investors Tuesday when it reported better-than-expected earnings despite a big dip in profit due to charges related to its acquisition of Paxar and weak domestic demand for its retail products. Amgen Inc. won a jury verdict that may prevent Roche Holdings AG from selling its version of a competing anemia medicine in the U.S., Amgen said Tuesday. Foreclosures in the Greater San Fernando Valley jumped an annual 571 percent in September as sales sank to the lowest level in 19 years. Countrywide Financial Corp. said Tuesday that it will help many of its borrowers refinance their loans and keep their homes, as more calls for the firing of company's chief executive surfaced. Shares in PFF Bancorp Inc. plunged more than 17 percent Tuesday after the company reported a greater-than-expected loss due to loan losses during the quarter. The shuttered St. Luke Medical Center, a northeast Pasadena landmark, has been sold by the California Institute of Technology to a Beverly Hills developer, the university announced Monday. Hansen Natural Corp. said in a regulatory filing Tuesday that a court dismissed a federal class-action suit alleging the company illegally backdated stock options issued to senior executives. An ugly feud between two actors unions burst into the open Monday, with the American Federation of Television & Radio Artists accusing its sister union of breaching a 26-year-old bargaining agreement. More than 70 local garment manufacturers were cited recently by the state for labor code violations, racking up combined fines of more than $600,000. After several quarters of solid growth, the San Gabriel Valley's industrial market showed signs of weakening last quarter, due in part to concerns over an economic slowdown. Zenith National Insurance Corp. reported an 11 percent dip in third-quarter earnings Monday afternoon due a slip in net premiums earned. Emboldened by the success of video series within its pages, MySpace is taking on the ownership role of a television network as it seeks a bigger piece of the action. Despite the expectation of grim reports that are to be released later this week, shares in local homebuilders surged Monday. A wave of development is renewing Century City, but growing congestion threatens the renaissance. Chris Gorog of Napster Inc., believes his company's subscription model is the future of the music industry. Tom Mix sold the site to William Fox, whose namesake studio later sold it off for development. Today's boom is bringing it to build-out. Deposed Tour de France champion Floyd Landis and Olympic gold medalist Marion Jones are the latest athletes to make headlines and lose awards because of doping scandals. Projects must account for daily arrivals and departures, or "trips." L.A. engineering and consulting company Aecom Technology Corp. is making investors happy thanks to surging infrastructure spending. Esmael Adibi believes a recession is more likely to hit Los Angeles than other parts of the nation. In 1999, David Zinberg took jewelry from a handful of his pawnshops and began auctioning them online. Two years later, despite the dot-com crash, Bidz.com Inc. brought in $1 million. SUBMARKETS Major events in commercial and industrial real estate across the Los Angeles region and neighboring areas. International architectural firm NBBJ has grown significantly thanks to a good deal of business from South Korea. Lakeside Merger Extends Coverage Across Northern L.A.
Latino homebuyers helped fuel L.A.'s housing boom. Now, the downturn is hitting them hard. Chinese law firm Alpha & Leader has set up shop in Los Angeles. The cost of shipping raw materials across the world's oceans has reached an all-time high, pushing up prices of grain, iron ore, coal and other commodities. In a down real estate market, they came to buy. They came early, they came in numbers and they came with bank checks for $5,000. L.A.-based retailer Forever 21 has been hit by a wave of lawsuits for alleged copyright violations. A group of former employees is acquiring Culver City-based Small World Toys Inc. out of bankruptcy. No one is making money on Internet TV yet. The basic conundrum remains: how to replicate TV advertising revenues with a less-committed Internet audience. Century City veteran Jerry Asher has been working on the area's development since it was nothing but a model on a tabletop. A sprawling marine research facility planned at the port could help economic revitalization in San Pedro. If the tax rate on a certain kind of investment is hiked, venture capital will be reaching out to L.A. startups less, writes Charles Crumpley. L.A. City Councilmen Bill Rosendahl and Dennis Zine have called for a study of how much the city has been spending on outside counsel. Seven projects are changing the face of the area. After a weekend of uneasiness due to raging wildfires that threatened its Malibu headquarters, toy maker Jakks Pacific Inc. reported strong third-earnings Monday on lower expenses and stronger sales. Shares in Big 5 Sporting Goods Corp. gained 3 percent Monday afternoon after a Wachovia Capital Markets analyst raised his profit estimate due to increased sales activity. Borrowing to address California's infrastructure needs is OK, according to Richard G. Little, but only if it is accompanied by other funding methods, including tax increases. Walt Disney Co. said Monday that it will phase out all trans fats over the next two years from food it serves at its theme parks in Paris, Hong Kong and Tokyo. Jeremy Pal, a civil engineering and environmental science professor at Loyola Marymount University, is among the contributing authors who are sharing the Nobel Peace Prize with Al Gore. As water cutbacks and rate hikes loom in the face of the worst drought in 15 years, some local businesses are taking innovative steps to slow the flow. AT & T; Inc. said Monday that it is making Napster Inc.'s entire music catalog available to its customers for wireless download starting next month. As Century City develops, homeowners are increasingly angry about traffic issues. Disney's sports cable network ESPN last week partnered with Nielsen Co. to measure how consumers use media across a variety of platforms. IN the film world, Michael Mann is well known as a producer and director, with credits that include the new action movie "The Kingdom" as well as "Ali," "The Aviator," "The Insider" and "The Last of the Mohicans." A wildfire driven by powerful Santa Ana winds on Sunday destroyed at least five Malibu businesses, damaged several at a shopping center, and threatened dozens more. This month Aetna Inc., one of the nation's largest insurers, quietly changed its reimbursement guidelines for the company's anemia drugs, echoing Medicare's new tighter reimbursement policy for the medicines. Shares of drink maker Hansen Natural Corp. dropped nearly 8 percent Friday after an analyst cut his rating due to a recent run-up in the stock price. L.A. County's unemployment rate rose to 5.1 percent in September from 4.9 percent in August as homebuilding woes continue to take their toll on the local workforce. With the town prepping for a strike in as little as two weeks, the Writers Guild of America's still opting for a go-slow approach to negotiations. The sweet notion that making a company environmentally friendly can be not just cost-effective but profitable is going up in smoke. Meet the man wielding the torch. Shares in Preferred Bank dropped nearly 10 percent and hit a news 52-week low Friday after the company was downgraded by Friedman Billings Ramsey. The declining housing and credit markets continue to take a toll on the Los Angeles Business Journal's index of the largest 200 public companies, sending the index down 4.5 percent for the week. Live Nation Interested in Signatures Network; Reliance Board Names Chairman. The $8.2-billion deal to take Tribune Co. private has become entangled in a newly inflamed debate over media ownership rules at the Federal Communications Commission that could pose problems for the transaction. Shares in Countrywide Financial Corp. fell to a 4-year low Friday after billionaire investor Warren Buffett said he "never came close" to buying shares in the Calabasas-based lender. The Port of Los Angeles is rolling out preliminary plans today to build a massive marine research facility that officials hope will stimulate economic activity and help revitalize the San Pedro community. Despite posting strong third quarter earnings, shares in East West Bancorp Inc. were down more than 3 percent Thursday. Advisory firm Proxy Governance Inc. said Thursday that Applebee's shareholders should vote against the proposed sale of the company to Ihop Corp. for $1.9 billion, while another firm, Glass Lewis & Co., indorsed the deal. Aecom Technology Corp. said Wednesday that it has acquired Canadian environmental science consulting firm Gartner Lee Limited. Fatburger to open restaurants in United Arab Emirates; Preferred Bank's Chief Credit Officer Resigns; Ryland reduced unsecured revolving credit facility. Despite the disappearance of a major roadblock to a deal, the threat of a writers strike remains strong. Top MySpace executives Chris DeWolfe and Tom Anderson have struck rich deals to continue working at the company, which was bought by Rupert Murdoch's News Corp. in 2005. Shares in City National Corp. dipped more than 3 percent Thursday after the regional bank company reported a modest increase in third quarter earnings that slightly missed analysts' predictions. Reliance Steel & Aluminum Co. reported a 13 percent dip in third quarter profit due to higher costs and weaker prices for metal products. Abraxis BioScience Inc. said Thursday it and a marketing partner had received regulatory approval to sell the breast cancer treatment Abraxane in India. While homeowners were being stung by shrinking property values, renters across the state found themselves having to dig deeper into their pocketbooks in the third quarter, according to a report to be released today. Napster Inc. said late Tuesday that it planned to attract more customers by moving to a Web-based platform that will allow users to play their music from any computer without requiring additional software. Shares in Fremont General Corp. plummeted nearly 7 percent Wednesday after the former subprime lender reported a big first-half loss and said it restated its fiscal 2006 earnings. ESPN and Nielsen Co. announced Wednesday a collaboration to develop a system of audience measurement for television, the Internet, and digital phones. With much of Downtown Los Angeles dark for the night, the Nokia Theatre was anything but last week, as dozens of swiveling searchlights lit up the skyline in anticipation of the venue's Thursday, Oct. 18, opening. The Securities and Exchange Commission has opened an informal investigation into stock sales by Countrywide Financial Corp.'s Chief Executive, Angelo Mozilo. THQ Inc. renewed an agreement with Nintendo of America Inc. to develop and market games for the Wii console within the Western Hemisphere, the videogame developer said in a regulatory filing Wednesday. Struggling lender Countrywide Financial Corp. expects to book a pretax charge of about $125 million to $150 million from its announced restructuring plan, according to a Securities and Exchange Commission filing. Massachusetts Attorney General Martha Coakley issued citations against two companies that do business at the Tweeter Center for the Performing Arts in Mansfield for multiple violations of the state's Child Labor Law. Home sales in Southern California plummeted in September to a two-decade low, and grim market assessments suggested the worst is yet to come. Skechers USA Inc. said Wednesday that it is planning to build a 1.8-million-square-foot distribution center in Moreno Valley. Wescom Credit Union said Wednesday that San Diego-based Great American Credit Union will merge into it. Medical malpractice insurance provider SCPIE Holdings Inc. said it has agreed to be bought by The Doctors Company, a physician-owned competitor, for about $268.8 million. House of Taylor Jewelry Inc. said it has secured a $30 million credit facility through New Stream Capital in a deal that also includes a $5.8 million equity financing. Borrowers who took out loans in the first six months of 2007 are falling behind on payments faster than homeowners who took out loans last year, according to a report by investment bank Friedman, Billings, Ramsey. Shares of ValueClick took a tumble after the company said sales would be lower than expected for both the third quarter and the full year due to weakness in its online advertising lead generation business. The Nobel Prize in economics was awarded to three Americans yesterday, including Leonid Hurwicz, a 90-year-old professor emeritus at the University of Minnesota, the oldest person ever to win a Nobel. As the holiday shopping season approaches, Kids Give is setting itself apart with pricey, ethnically diverse dolls. The weekly Westside Chronicle newspaper has been shuttered as a result of hefty costs incurred in a legal battle. USC is the top graduate school in the nation for entrepreneurs, according to new rankings. U.S. Auto Parts Network Inc. said it has replaced its current chief executive and founder Mehran Nia with former Blockbuster Inc. executive Shane Evangelist. Will Tiny Company's Sky-High Wi-Fi Fly? Row 44 is flying high after Alaska Airlines agreed to test the company's in-flight wireless Internet system. Northrop Grumman Corp. said it was awarded a $220 million contract to develop a data management and storage system for the National Security Agency. Shares in local homebuilders continued to fall Monday after an industry analyst cut his estimates for builders nationwide, saying the industry needs to consolidate. Shares of KB Home were downgraded. The recall effort against L.A. City Councilman Jack Weiss, triggered by his pro-development record, has fizzled as organizers conceded they did not have enough signatures to put the recall on the ballot. Busienss news from around Los Angeles County and beyond. A state agency has very quietly been laying the groundwork for a smaller increase in permanent disability payouts. Los Angeles Harbor Commission President David Freeman urged his fellow commissioners on Friday to vote by Dec. 14 on the long-delayed program to reduce diesel truck emissions at the ports. Home buyers in predominantly black and Hispanic neighborhoods in New York City were more likely to get mortgages last year from a subprime lender than home buyers in white neighborhoods with similar income levels. In the suddenly crowded space of social networking sites, backers of Stickam.com may have found a way to make it stand out. Workers are still busy at the $120 million Nokia Theatre, just days before it is set to open. A well-known economist who worked in the Nixon White House, Sung Won Sohn now is helping Hanmi Bank become a financial powerhouse. As Hollywood braces for a possible strike next month, talent agents are trying to do what they know best: Match-make. Jason Feffer, one of the original team members who launched MySpace four years ago, has started a new social networking site. The property rights protection act will impede crucial water projects, writes Timothy Quinn. IHOP Corp.'s recentently announcement that it would stop using frying oils containing trans-fats by the end of the year. The shareholders of Innovo Group Inc. the Commerce-based apparel maker that manufactures Joe's Jeans approved the purchase of the Joe's Jeans brand from its designer, Joe Dahan. Mattel Inc. on Monday reported a slight dip in its third-quarter profit because of the charges, costs and delays on its supply chain related to recalls of toxic toys. The release had little effect on the company's share price. Strong demand for video game consoles, laptop computers and cellphones will help the consumer electronics industry ring up a 7.4% sales increase in the U.S. this holiday season, an industry trade group predicted today. Microfabrica will use patented technology to make miniature devices for the medical sector. First Financial Credit Union is bringing a taste of the tropics to its branch offices with unconventional decor. When Amgen refugees start their own biotech companies, it will be evidence of what Charles Crumpley sees as business evolution: good news growing out of bad situations. Rapidly-growing IPC is preparing an IPO to further expand its business of managing hospital-based physicians. A ballot measure to restrict eminent domain proceedings is essential to protecting property rights in California, according to Jon Coupal. Beverly Center is ousting its mid-market chain stores and replacing them with luxury boutiques. Another Westside office tenant has decided to leave its space as a result of spiking rents in the area. As retailers charge into the fourth quarter, the big question looms: What is the must-have gift for this holiday season? Truckers at the Los Angeles and Long Beach ports got a short reprieve this month from a new government-backed security program that could put some drivers out of the job. IPO: Could Hospitalist Co. Be Just What the Doctor Ordered? Financial backers of IPC The Hospitalist Co. are banking that one of the hottest trends in health care staffing is something investors might want to get a piece of. Workers at five area hotels voted to authorize a strike, their union announced Saturday. Vitesse Semiconductor Corp. will pay $8.7 million to settle shareholder lawsuits over the backdating of employee stock options, the company announced Friday. Los Angeles customer service bites, or does it? Depends on who you talk to. According to hundreds of secret shoppers who surveyed 10 major U.S. cities, L.A. was outdone only by the rude capital of the world, New York City. Shares in CalAmp Corp. plunged more than 11 percent Friday after the company said it expected to swing to a loss for its fiscal second quarter as sales fell in its satellite division. Mattel Inc. is forecast by analysts to report third-quarter profit and sales higher than the same period a year ago, despite high-profile toy recalls. Korn/Ferry International announced Friday that it has hired Stephen Giusto as its new chief financial officer. The Countrywide Financial Corporation, the nation's largest lender and loan servicer, reported on Thursday that delinquencies and foreclosures in its portfolio were rising steeply. Ihop Inc. reported a 2 percent jump in third quarter same-store sales Friday that it attributed to successful limited-time offers. A community group has launched a grassroots campaign to generate support for a clean-air plan at the ports of Los Angeles and Long Beach that has come under fire from business and trade groups across the nation. THQ to develop American Girl video games. A bipartisan group of lawmakers asked the Air Force this week not to split up a $40 billion contract for refueling tankers that is expected to be awarded by the end of the year. Molina Healthcare Inc. said it has completed the sale Thursday of $200 million of 3.75 percent convertible senior notes, which included options for underwriters to purchase an additional $25 million in notes. A federal judge in San Francisco on Wednesday blocked the Bush administration's attempt to enlist the nation's employers to banish illegal immigrants from the workplace. The WGA clearly wants to send a signal. The guild has formulated strike rules that would impose an exceptionally aggressive stance on its 12,000 members. Shares in Ryland Group Inc. gained as much as 7 percent Thursday after Janus Capital Group Inc. doubled its stake in the struggling homebuilder. Countrywide Financial Corp. reported another month of steep declines in lending, and North Carolina's State Treasurer said he is seeking an SEC investigation into Angelo Mozilo's stock-selling practices. A Pentagon audit found that a Northrop Grumman Corp. IT service contract worth as much as $375 million violated federal procurement regulations and should be canceled and re-bid. Domenico Cecere is stepping down after five years, saying he is confident of the company's future. Shares in Molina Healthcare Inc. gained 3 percent after the Standard & Poor's SmallCap 600 index said the health care provider will replace Keystone Automotive Industries Inc. on the index on Friday. An institutional shareholder of Mattel Inc. accused the company's directors and officers of knowingly allowing the company to break federal laws by delaying the reporting of defective toys. Keystone Automotive Industries Inc. said Wednesday that its shareholders have approved LKQ Corp.'s proposed acquisition of the company for $48 per share in cash. Shares in Fremont General Corp. got a big boost Wednesday after the lender-turned savings and loan drew a sizable investment from a group led by an investor who saw the subprime slide coming. Sharply lower profit from making fuel took a big bite out of Chevron Corp.'s third-quarter earnings, which the oil company said Tuesday would be "significantly below" the record $5.4 billion it earned during this year's second quarter. NBC is set to announce Thursday that it will be relocating its longtime Burbank studios to the NBC/Universal property in Universal City by 2011, sources said late Wednesday. Chicago real estate magnate and Tribune Co. owner Sam Zell said Tuesday he had no plans to sell the Los Angeles Times to any of the moguls who previously were interested in buying the newspaper. YouBet plunges after downgrade; Health Net names new CFO; Hot Topic same-store sales decline. With all of Southern California's investment opportunities, it may seem surprising that Jeffrey S. Klein has set his sights on the lease to the Queen Mary complex - a property that long has attracted controversy. Pop superstar Madonna is close to leaving Warner Music Group Corp.'s Warner Bros. Records for a virtually unprecedented $120 million deal with concert promotion giant Live Nation Inc.
Hollywood screenwriters and studio executives returned to the bargaining table today for their seventh round of face-to-face contract talks since July as strike rhetoric from both sides intensified. NBC Universal today announced the acquisition of the Oxygen Channel, a cable television network that focuses on women viewers and is led by the longtime cable executive Geraldine Laybourne. Computer Sciences Corp. said Tuesday that it has signed 123 government contracts worth as much as $1.1 billion for its fiscal second quarter, which ended Sept. 28. Bain Capital Partners LLC completed its $2.1 billion purchase of music instrument retailer Guitar Center on Tuesday, squelching early speculation that the deal might go sour. Shares in Hi-Shear Technologies Inc. closed up 9.5 percent Tuesday after the aerospace company announced surprising first-quarter earnings. Shares in two local companies surged Tuesday in what could be an example of the "Jim Cramer Effect." The stocks rose after the influential TV show host mentioned Jakks Pacific Inc. and ValuClick Inc. on his national show on CNBC. Pacific Theatres Exhibition Corp. has entered into an agreement to sell 15 of its 29 theaters as it divests its operations outside the Los Angeles area, the company announced Tuesday. RadNet Inc. said Tuesday that it has acquired Liberty Pacific Imaging Center for $2.8 million. Grupo Televisa, Mexico's largest media conglomerate, plans to expand its reach in the U.S. by teaming up with an American studio to make movies and television shows and to distribute its growing film library. Monrovia's AeroVironment Inc. said Tuesday that a 60-day trial of an electric car using its battery recharging technology has reached its halfway point. Amgen Inc.'s downsizing could lead to a vibrant biotech hub as departing scientists join the job market. A partnership that includes Maguire Properties Inc. Chief Executive Robert Maguire has put a Playa Vista office development up for sale. Philip Gay is using his extensive experience in the food service industry to help Grill Concepts expand its restaurant chains. Colette Brooks and her husband, Eric Cadora, run Biobling, which helps customers find biodiesel-fueled vehicles and then customize them. A proliferation of ethnic minorities on television reflects hiring trends in the entertainment industry. L.A. Fashion Week has been known for its blue denim designs, but this year it will have a "green" theme. Everest Sciences makes a patented intake system that helps cool air that goes into electricity-producing turbines. The Beijing Olympics won't come around until August of next year, but one local firm is already beginning to feel the impact. Katy Delay writes that the Federal Reserve is now trying to fix economic problems that it has created over the past few decades. In 1992 and 1993, Gov. Pete Wilson and lawmakers tried to take nearly $2 billion from public schools to balance the state budget. That didn't work. The state lost a court challenge and had to repay the money, with interest. It might take more than a public relations company to burnish Countrywide Financial Corp.'s tarnished image. Vertical Branding works in two business segments that normally don't go together direct marketing and retail distribution. Tetra Tech Inc. said Monday that it received contract for environmental clean-up services at Navy and Marine bases worth $100 million. Cindy Whitehead distresses athletes' clothes, puts dirt in the right places, sprays the athletes with water to imitate sweat. And they pay her a lot to do it. Is This All Going South? Charles Crumpley believes the local ports need to keep prices competitive or else risk losing jobs and future business to Mexico. Could the answer to lower employer health care costs be found at places like Spectrum Athletic Clubs? State initiatives to promote solar power are being weakened by self-interested unions, writes Kevin Dayton. The era of rapidly falling workers' compensation bills for California employers may be nearing an end, nearly four years after sweeping reforms were enacted. Pasadena-based Gemstar-TV Guide International Inc. launched its own search engine of popular TV clips last week. Is Raytheon Going Retail With Radar? Travis Slocumb has an interesting new job: He's selling some high-tech gizmos that Raytheon Co. developed for the U.S. Defense Dept. and space exploration. Material Technologies Inc., the small Los Angeles company that has developed an innovative bridge inspection device, has secured a contract that could push its technology into widespread use. L.A. County home sales plunged nearly 47 percent in September to their lowest level in at least four years. Prices listed by ZIP code. CompuMed Inc. said Monday that it was awarded a contract by the California Department of Corrections to provide remote electrocardiogram services for the state's correctional facilities. Oxy Downgraded; American Reprographics Shares Surge on Upgrade; CalAmp Soar on Upgrade. Beverly Hills law firm Browne Woods & George, announced last week that they would merge. The success of Activision Inc.'s "Guitar Hero" video game points up the growing impact that the industry is making on the music world. The site of the former Boeing 717 plant could play a bigger role in Hollywood or serve as a temporary haven for recreational vehicles and trailers. Ameron International Corp. said Friday that is has completed the acquisition of Brazilian fiberglass-pipe manufacturer Polyplaster Ltda. for an undisclosed amount. The first group of employees to be laid off because of a restructured business area at Raytheon Space and Airborne Systems in El Segundo saw their last day Wednesday, the company said. DirecTV Group Inc. said late Friday that its president of sales, John Suranyi, resigned from the company effective immediately. Putting the hyperbole on hold, the WGA and its members' employers have gotten down to brass tacks at the bargaining table. The No. 1 provider of technical and engineering staffing services has found a spot for one of its branches in the San Gabriel Valley. CB Richard Ellis Group Inc. settled a class action lawsuit accusing the firm of tolerating sexual harassment of female employees. LKQ Corp. said Friday that it will not raise its $48 per-share offer for Keystone Automotive Industries Inc. because the current price is a "substantial premium" for shareholders. Fremont General Corp. was accused of using "unfair and deceptive" practices to sell subprime mortgages. Shares in K-Swiss Inc. sunk more than 3 percent Friday after a Banc of America Securities analyst started coverage of the athletic shoemaker and rated it a "sell," saying the company is still facing challenges in its international business. Amgen Inc. said Thursday that it was shelving plans for its big but postponed Irish plant. It also announced it will partner with Italian firm to market Amgen's products in Italy. Health Net Inc. said it has formed a partnership with Bank of America Corp. to market health-care payment plans. For Countrywide Financial Corp., this time it's personal. At least that's what a top executive says. An analyst said Thursday that he expects Countrywide Financial Corp. will report a much bigger third-quarter loss than previously predicted. Murdock Plaza, a 17-story red-brick office building in Westwood that boasts VIP tenants such as ex-Mayor Richard Riordan and philanthropist Eli Broad, has been acquired for $130 million. Shares in Guitar Center Inc. hit a 2-year high Wednesday fueled by anticipation that the $1.9 billion takeover by Bain Capital Partners was close to getting approval. For most actors who make or star in films, redemption is having a hit after a stinker. The other type of redemption is the kind that superstar Tom Cruise and his longtime producing partner Paula Wagner hope to enjoy soon. The Walt Disney Co. is the latest toy licensee to have its goods recalled because they contained dangerous levels of lead in items manufactured in China. A division of the American Trucking Association is urging the Federal Maritime Commission to review a controversial program that would replace virtually all 16,000 short-haul trucks serving the Los Angeles and Long Beach ports. Walt Disney Co.'s Parks & Resorts division said late Wednesday that it has purchased 21 acres of oceanfront property on the Hawaiian island of Oahu to build its first hotel not associated directly with a theme park. The outlook for house prices is getting even gloomier as traders on the Chicago Mercantile Exchange bet on steep price declines and the number of homes for sale grows. The U.S. Department of Energy designated nearly all of Southern California, parts of Arizona and much of the northeast as "national interest" energy transmission corridors. L.A. worker confidence fell in September on expectations that employers would sharply curtail future hiring and that layoffs might increase, according to a survey released Wednesday. The chief executive of International Rectifier Corp. resigned Tuesday, becoming the third executive to leave the company or to be fired this year. Countrywide Financial Corp. was ordered Wednesday to open its books and records to assist an investigation into possible manipulation of stock option grants to executives. Ratcheting up labor tensions in Hollywood, leaders of the Writers Guild of America on Monday said they would ask members for authorization to call a strike if the union is unable to negotiate a new three-year contract with major studios. Northrop Grumman Corp. reaffirmed its annual guidance Wednesday and added that it is still in the running for as much as $15 billion in contracts from the government to support operations countering drug running and narco-terrorism. HCP announces offering of 9 million shares. Shares in DreamWorks Animation SKG Inc. were down more than 5 percent in early trading Wednesday after Pali Capital Inc. cut its rating on the stock. Mazda unveiled a new hybrid vehicle on Tuesday that uses hydrogen fuel to power an electric motor. The Japanese automaker said it will be available for leasing in Japan next year. Despite news that pending home sales were expected to tumble to their lowest levels in at least six years, L.A.-area lenders and homebuilders were buoyed for a second-straight day after an analyst called some stocks bargains. Tetra Tech Inc. said Tuesday that it has completed the purchase of consulting firm ARD Inc.
Officials with six unions that represent about half of the city workers in Los Angeles said Monday that they had reached a tentative agreement on a new contract, which probably ends any chance of a threatened municipal strike. A federal judge signaled Monday that he is likely to prevent the Bush administration from threatening employers with prosecution if they fail to fire illegal immigrants. MannKind Corp. said Tuesday afternoon that it has agreed to sell 27 million shares of its common stock to the company's chief executive and founder, Alfred Mann, as well as two groups of investors. MRV shares rise on upgrade. Shares in Fremont General Mortgage Corp. surged Tuesday after rumors on Wall Street that the company's off-again, on-again deal for a cash infusion from a Texas billionaire was apparently on again. Noting the large number of trades that require California licenses, Charles Crumpley believes that a certification process would be preferable. If all goes according to plan, Rentech Inc. will be the first company in North America to produce jet fuel with coal liquefaction. CB Richard Ellis Group Inc.'s $2.2 billion acquisition of Trammell Crow Co. in December has shaken up the local brokerage industry, with about three quarters of Trammell Crow's SoCal brokers leaving the company. Wall Street really liked the news that the fabled Buffett might be interested in getting control of The Bear Stearns Companies Inc. He seems to be emerging as a one-man Plunge Protection Team. Demand Media Inc., a Santa Monica startup headed by former MySpace chairman Richard Rosenblatt, has received an additional $100 million in funding. Hollywood's big movie studios are divided on whether to show cigarette smoking in films that are likely to be seen by young audiences. The Los Angeles County Metropolitan Transportation Authority awarded Lowe Enterprises exclusive negotiating rights as master developer for the proposed NoHo Art Wave project. Litepanels Inc. makes long-lasting LED units that are illuminating the sets of popular TV programs. Amid considerable growth in Asian shipping to Mexico's Pacific Coast, the local ports have launched unprecedented talks with Mexican port officials. Experts from outside the United States last week publicly aired their suspicions about a U.S. land grab,in the area of accounting rulemaking, that is. Manufacturers in California are concerned that state regulators are considering adding 11 chemicals to the list of hazardous substances requiring the posting of notices under the state's Proposition 65 law. IHOP Corp. said on Monday that it plans to stop using frying oil that contains trans fats by the end of the year. CB Richard Ellis Group Inc.'s $2.2 billion acquisition of Trammell Crow Co. last December has shaken up the local brokerage industry. With plans for growing AnTran Holdings LLC further, Elizabeth An has decided to create a corporate structure around the company. Patients have long come from afar to get "a little work done" in Beverly Hills; now they're adding entire 90210 fashion makeovers to their plastic surgery trips. A partnership of Los Angeles developer Jeff Worthe and Delaware-based Stockbridge Real Estate Funds has purchased an ocean view hotel development site in Santa Monica. Randy Breitenbach and Hal Washburn pledged to go into the oil business while college roommates. They've struck black gold with Breitburn Energy Partners LP. StarPoint Properties LLC and Praedium Group LLC partnered in a $50.1 million deal to purchase a four-property apartment portfolio that includes complexes in Koreatown and Winnetka. ValueClick Inc. jumped 21 percent last week after an analyst said the company could be acquired. But other analysts don't feel ValueClick is ripe for a takeover. Sony Pictures Entertainment executives, local government officials and Gov. Schwarzenegger broke ground last week on a construction project on the studio's Culver City lot. New hires and promotions at Los Angeles area businesses. Matt Mallon, general sales manager at radio station KABC-AM (790), is turning up the volume. See's Candies Inc. is waging a campaign to keep cocoa butter an essential ingredient of chocolate. Industry giants want to use substitutes such as vegetable oils. American States Water Co. said a subsidiary has been awarded a 50-year contract, valued at more than $575 million, to operate and maintain water and wastewater systems at Fort Bragg in North Carolina. California businesses should embrace Gov. Arnold Schwarzenegger's health care reform plan, which will be successful if employers accept a shared financial responsibility, writes Brandon F. Shamim. Premium denim company Blue Holdings Inc. has seen its expansion plans unravel amid lackluster sales. For most startups, $270 million in new funding would be seen as a positive sign. Tom Lucas wants the state to talk to stakeholders and proceed slowly as it works to fix California's dysfunctional health care system. Dr. Jimmy Hara, a longtime social activist, leads a popular program for aspiring family practice doctors at Kaiser Permanente. The world's largest alternative maritime power vessel which can plug into shore-side electrical power while at berth recently made its maiden voyage to the Port of Los Angeles, marking a step forward for the technology. A lucrative trend in the legal world is cropping up as more attorneys are serving as expert witnesses. 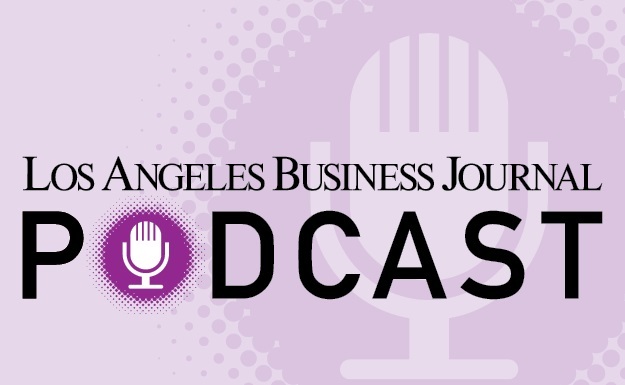 Business news briefs from around the Greater Los Angeles area. Marq Massengale is a former semi-pro football player who's launching Ta-Bu clothing with his mom.